Reminder: LSD Closure Reviewed by Edgeville Buzz on May 22, 2009 . 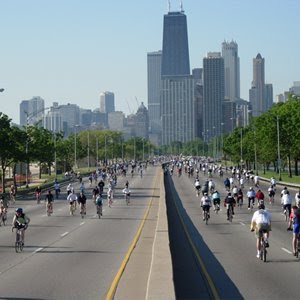 Lake Shore Drive will be closed to automobile traffic on Sunday, May 24 from 5:00 a.m. until 10:30 a.m. for the annual Bike the Drive Event. The closure will extend from Bryn Mawr to 57th Street. Click here to visit Bike the Drive’s website for more information on the event. If you are interested in participating but haven’t yet signed up, to the best of our knowledge you can register for the event as late as the day of unlike years past.